The only theme that seems to bind these mitzvot together is one of community. Here are the laws one needs in order to have and maintain order. According to this text, one of the most important values in any community is the ability of each person to look out for the welfare of the other. the one responsible for the pit must make restitution. but shall keep the dead animal. We have learned that the mitzvah of Al Ta’amod pertains to someone in danger. If you see someone at risk, you must help them. Mishpatim further defines this commandment. If you see a situation that could put someone at risk, you must help. In this case, you are not allowed to dig a pit unless you make sure it is safe and cannot harm others. We are required to think about our actions, to worry about how what we do affects others and to take steps to insure the safety of those around us. We are not allowed to mistreat others. Everyone is deserving of respect. You shall not ill treat any widow or orphan. These verses are fascinating. Consider this: The Israelites were slaves in Egypt for 400 years before God heard their cries and redeemed them. Yet, only several chapters removed from the Exodus, God is telling these same Israelites that if they oppress the stranger (the stranger!) or mistreat the widow or orphan, God will immediately listen to them and take action. What does this mean? Can the cry of one widow or orphan compare to 400 years of slavery? Perhaps within a Covenant community the answer is yes. We have now been given a standard of behavior. We must adhere to it or our community cannot last. Thus, we see that the community is not healthy unless we can eradicate Lashon Harah. 1. If you were writing the Ten Commandments today, what would they be? 2. 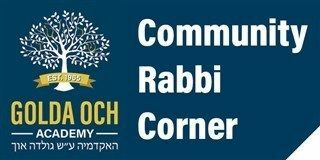 How does Lashon Harah destroy communities? 3. How do members of your community/family look out for each other? Give examples. 4. What can you do to start looking out for others?